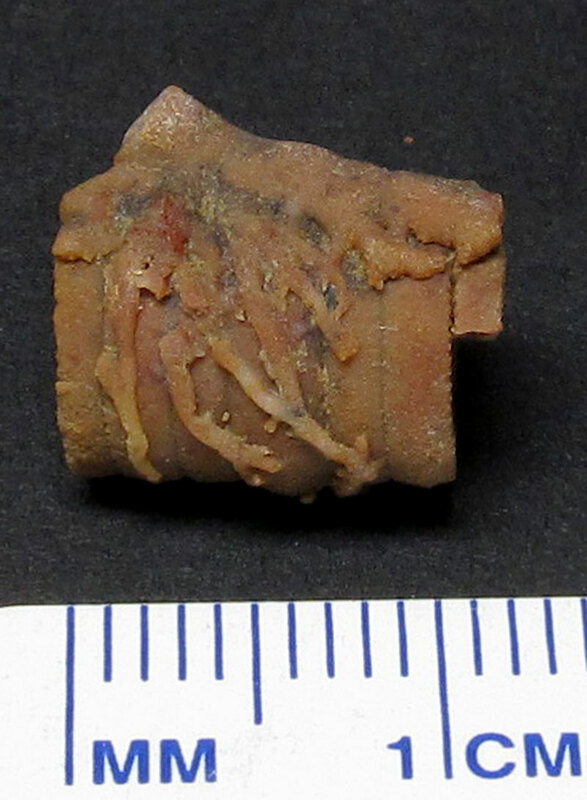 These images are quite interesting in that they show possible parasites or byrozoans on a crinoid stem fossil. These fossil was found in Scott County Indiana in the New Providence Formation. It dates to the Mississippian Period. This image is of an unidentified crinoid holdfast attached to larger crinoid stem fossil. 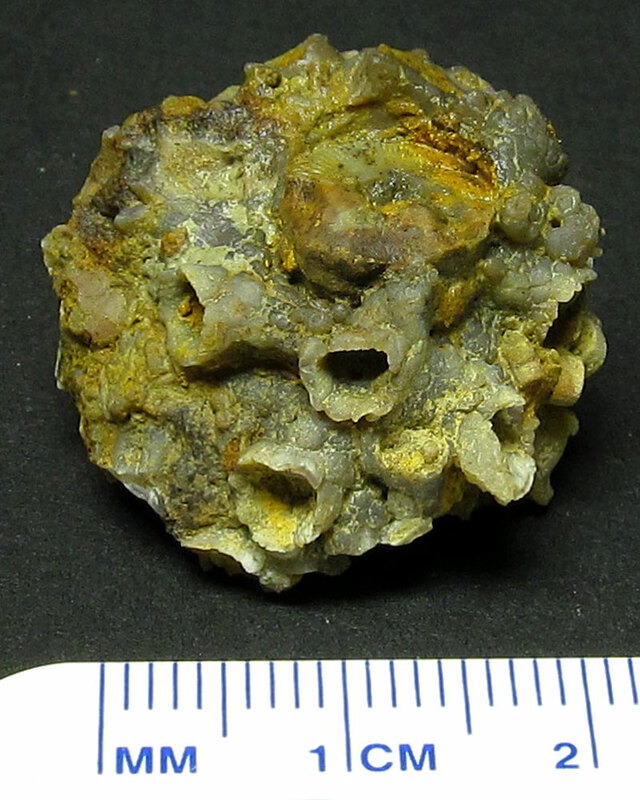 It was found in the New Providence Formation (Keokuk) of Scott County Indiana USA. This creature existed in the Mississippian Period. Thanks to Kenny for this image. This image is of an unidentified gastropod fossil. 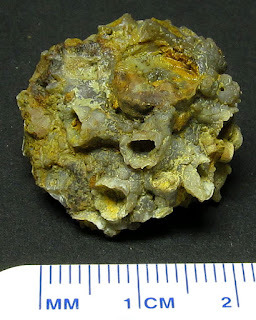 It was found in the New Providence Formation (Keokuk) of Scott County Indiana USA. This creature existed in the Mississippian Period. Thanks to Kenny for this image. 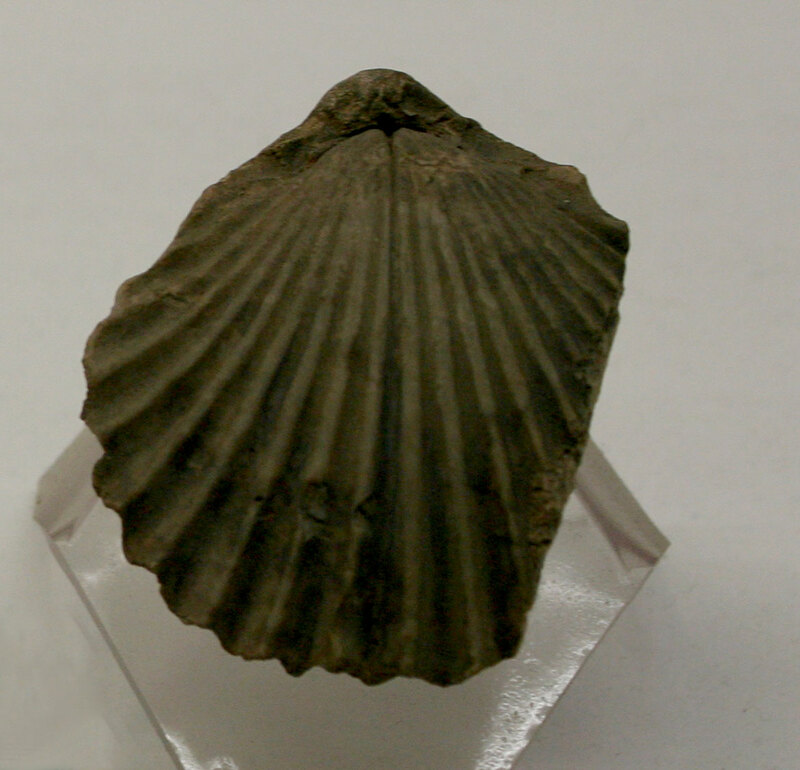 This image is of a Cladoconchus sp. 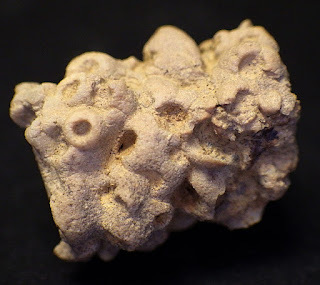 coral on an unidentified crinoid fossil. 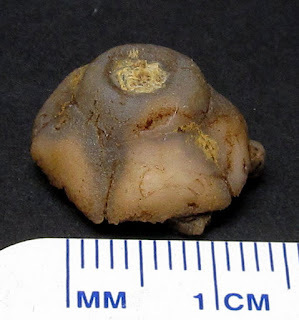 It was found in the New Providence Formation (Keokuk) of Scott County Indiana USA. These creatures existed in the Mississippian Period. Thanks to Kenny for this image. 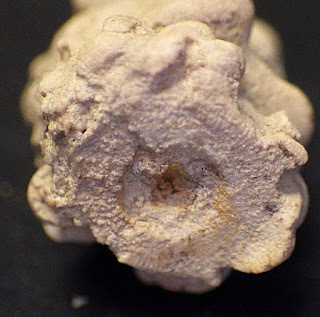 This image is of an unidentified crinoid calyx fossil plate. 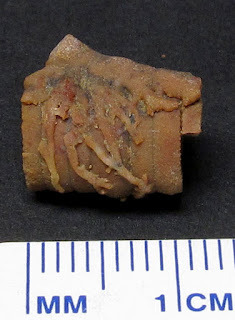 It was found in the Keokuk Formation of Scott County Indiana USA. 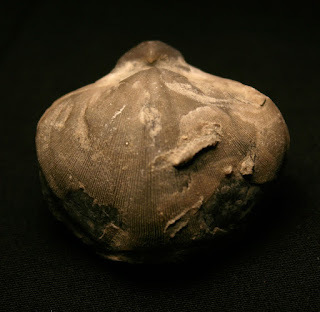 This creature existed in the Mississippian Period. Thanks to Kenny for this image. 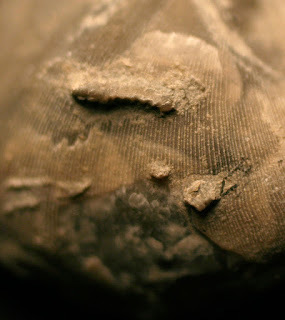 This image is of a Platycrinites hemisphericus crinoid calyx fossil plate. 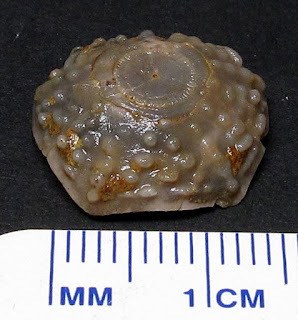 It was found in the Keokuk Formation of Scott County Indiana USA. 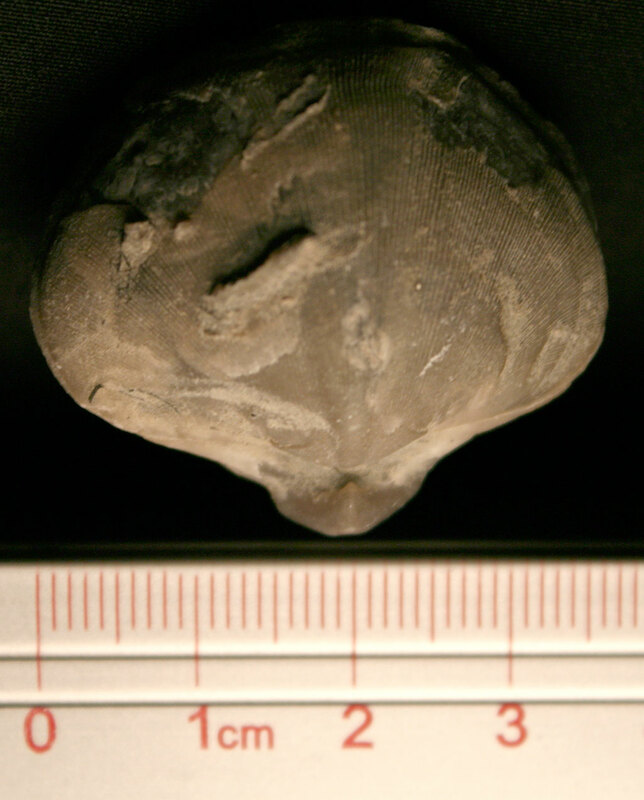 This creature existed in the Mississippian Period. 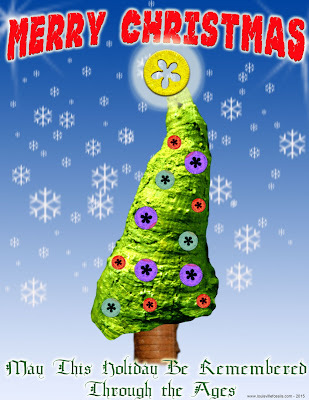 If you are viewing this blog I wish you a Merry Christmas. 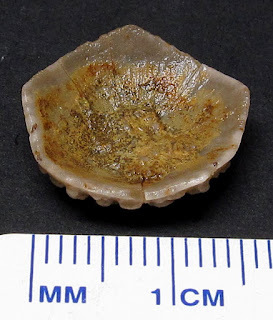 I hope 2016 brings you many good fossil finds. This year's design features four fossils. They were all found in Grayson County Kentucky USA. Three different crinoid fossils were used for the tree trunk, ornaments and star. 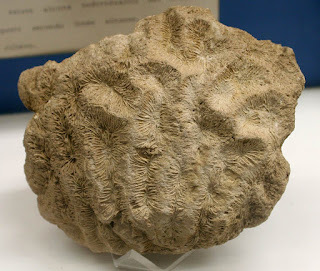 The tree body was a horn coral. 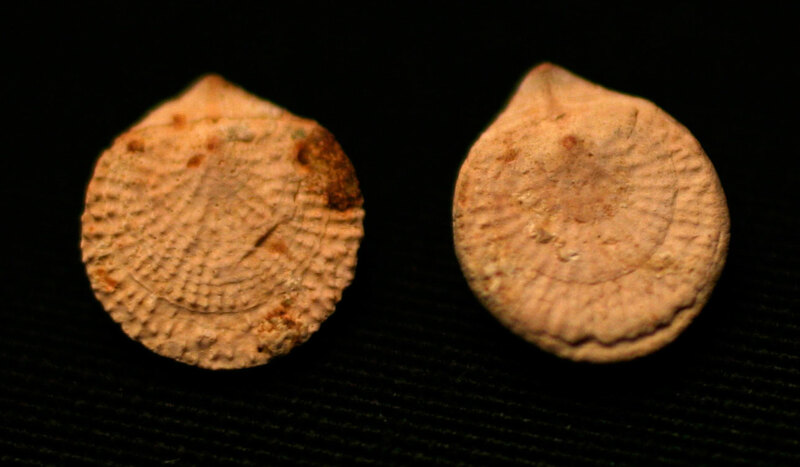 I do not know their names but they are from the Mississippian Period (Carboniferous). Here is a picture of a Cancer sp. crab fossil at the Museo di Paleontologia at Sapienza University of Rome Italy. Creatures like this existed in the Pliocene Epoch of the Neogene Period. 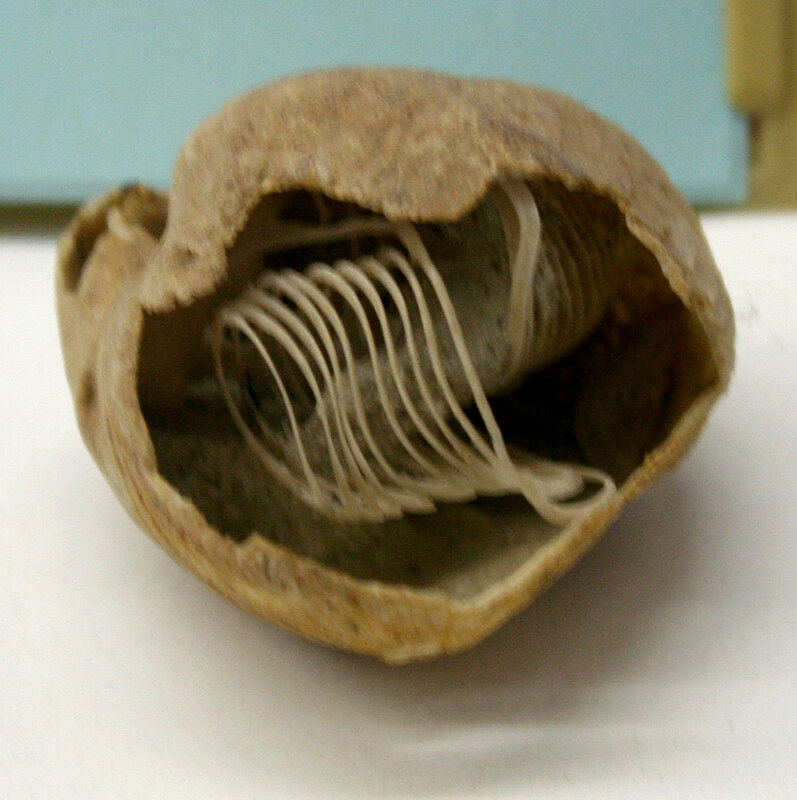 Here is a picture of a Palaeocarpillus sp. 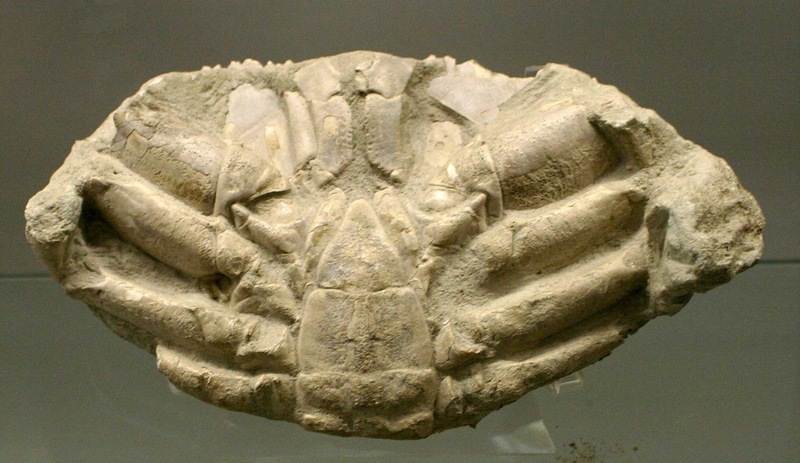 crab fossil at the Museo di Paleontologia at Sapienza University of Rome Italy. Creatures like this existed in the Eocene Epoch of Paleogene Period. 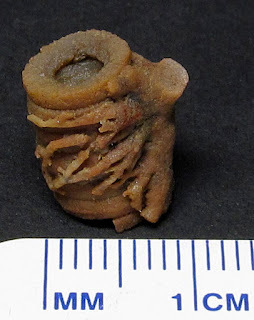 These images show an Eospirifer radiatus brachiopod fossil with a fossilized Cornulites proprius worm tube. 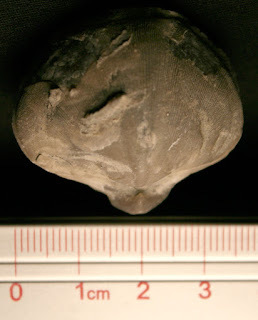 It was found in the Waldron Shale of Clark County Indiana USA. These creatures existed in the Silurian Period. 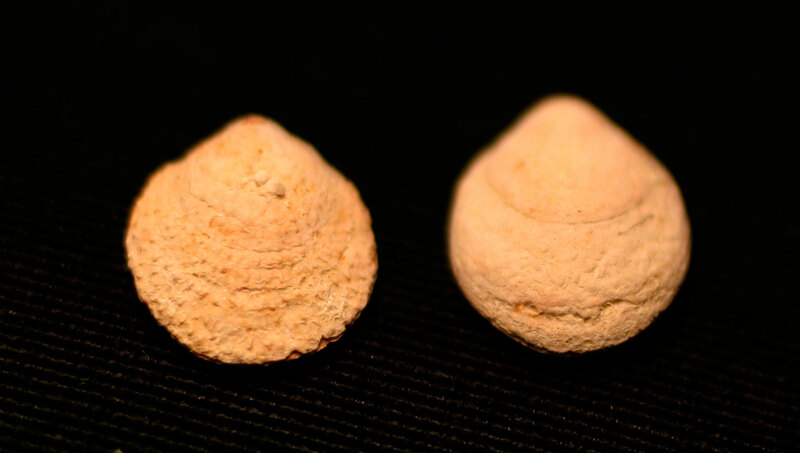 These images are of Thecidea papillata (von Schlotheim) brachiopod fossil. It existed in the upper Cretaceous Period (Upper Maastrichtian). Found in Lichenberg Horizon of Maastricht Netherlands. Thanks to Clive for these brachiopods. 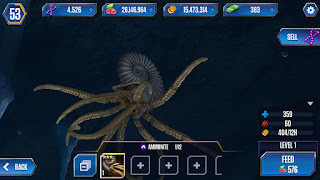 Still playing the Jurassic World game on my phones. 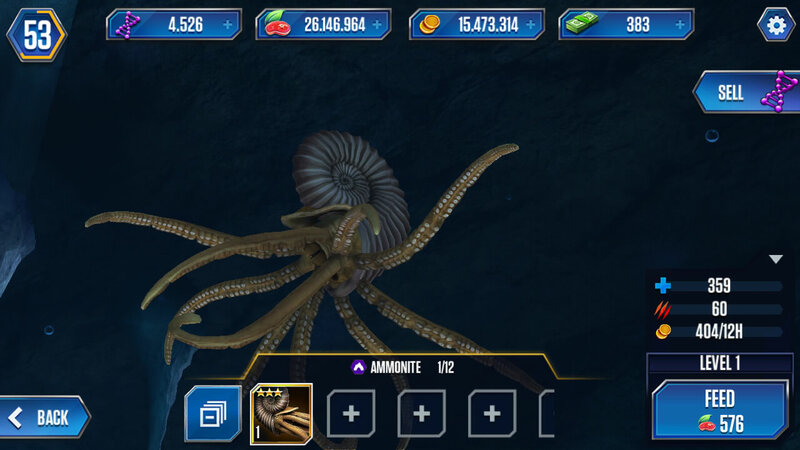 The ludia company has opened up the the aquatic park which has creatures I actually started playing the game for in the first place to see. 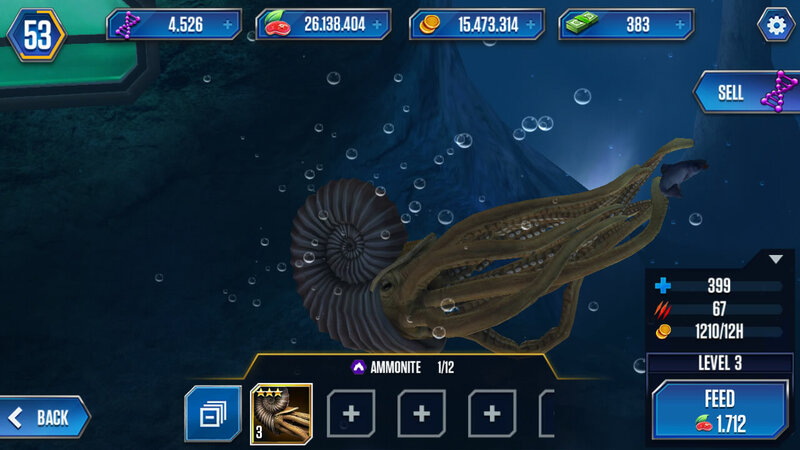 Very nice animations and this post shows some of the images of the ammonite. 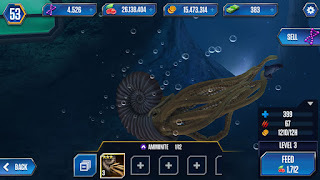 It is odd that most of the creatures on land or in the air have genus names but they when with a very generic name ammonite for this creature. Here is an embed of a short 2 minute animation of this creature on YouTube. 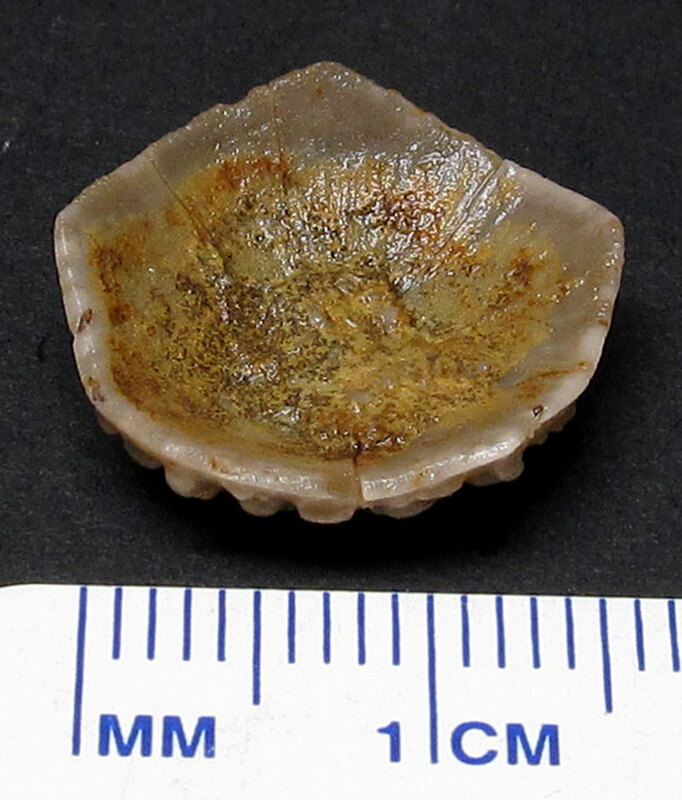 This picture is of a Terebratula brachiopod fossil with an exposed lophophore. It was on display at the Museo di Paleontologia at Sapienza University of Rome Italy. 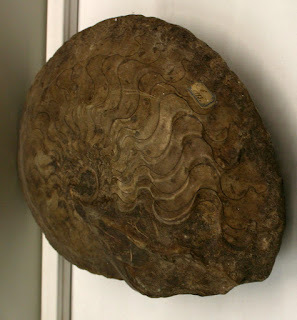 Creatures like this existed at the time of the Pliocene Epoch of the Neogene Period. This picture is of a Pygope diphya brachiopod fossil at the Museo di Paleontologia at Sapienza University of Rome Italy. Creatures like this existed at the time of the upper Jurassic Period. 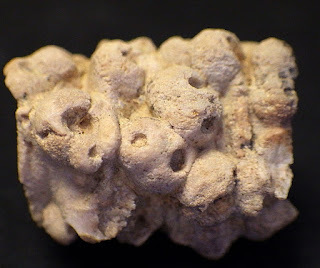 It was found in Tirolo of northern Italy. 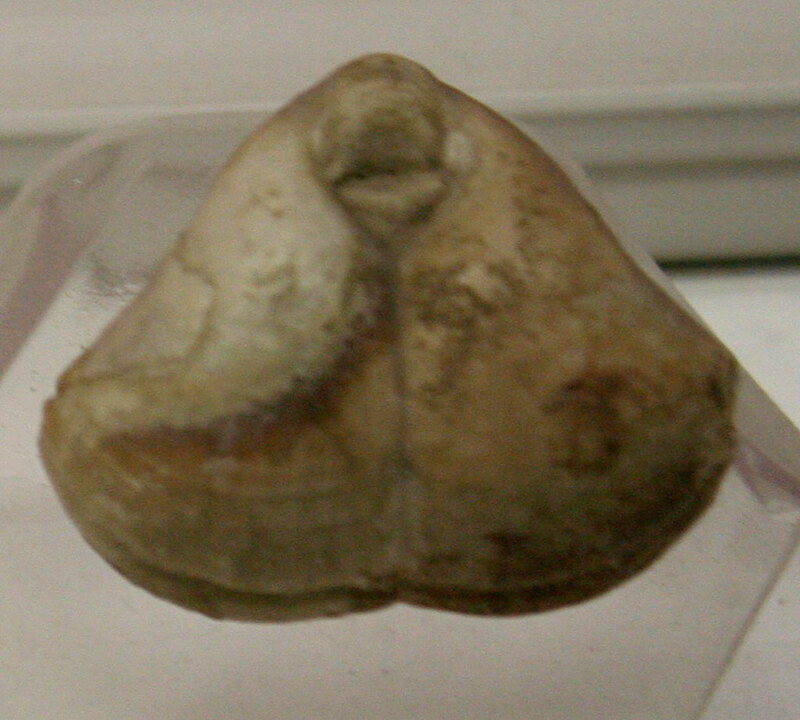 This picture is of a Pereginella garganica brachiopod fossil at the Museo di Paleontologia at Sapienza University of Rome Italy. Creatures like this existed at the time of the Lower Cretaceous Period (Epoch Neocomian). 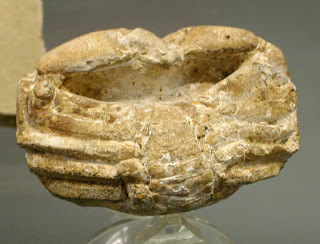 It was found in Maiolica Formation (?) of Monte Gargano of southern Italy. 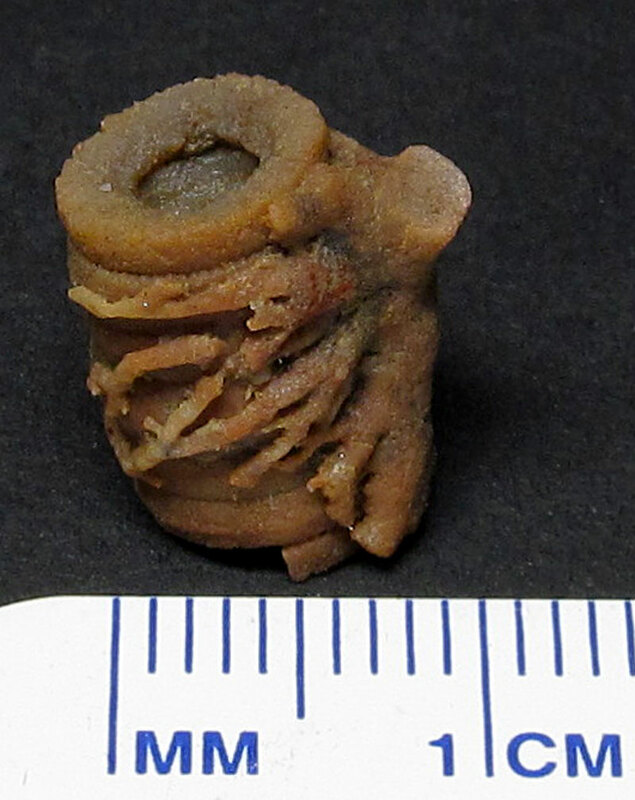 This picture is of an Otoceras sp. 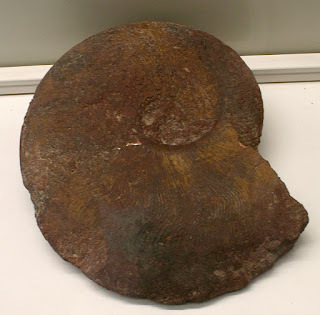 ammonite fossil at the Museo di Paleontologia at Sapienza University of Rome Italy. Creatures like this existed at the time of the Permian Period. This picture is of a Hildaites serpentinus (Rein.) 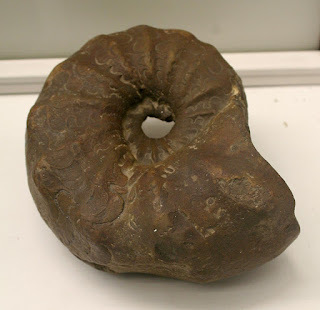 ammonite fossil at the Museo di Paleontologia at Sapienza University of Rome Italy. Creatures like this existed at the time of the early Jurassic Period (lower Toarcian). 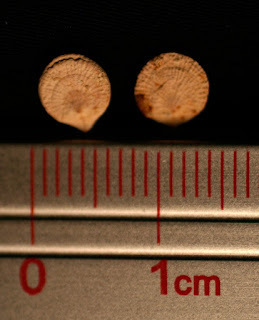 The fossil was found Holzmaden, Bavaria, Germany. This picture is of a Harpoceras subplanatum ammonite fossil at the Museo di Paleontologia at Sapienza University of Rome Italy. Creatures like this existed at the time of the early Jurassic Period (lower Toarcian). 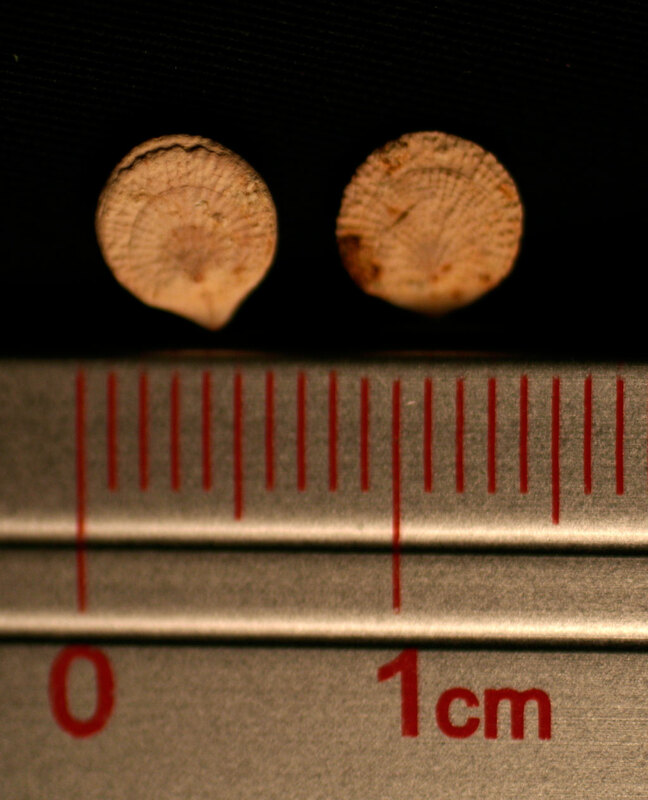 The fossil was found Holzmaden, Bavaria, Germany. This picture is of a Schlotheimia angulata ammonite fossil at the Museo di Paleontologia at Sapienza University of Rome Italy. Creatures like this existed at the time of the early Jurassic Period (Lias). 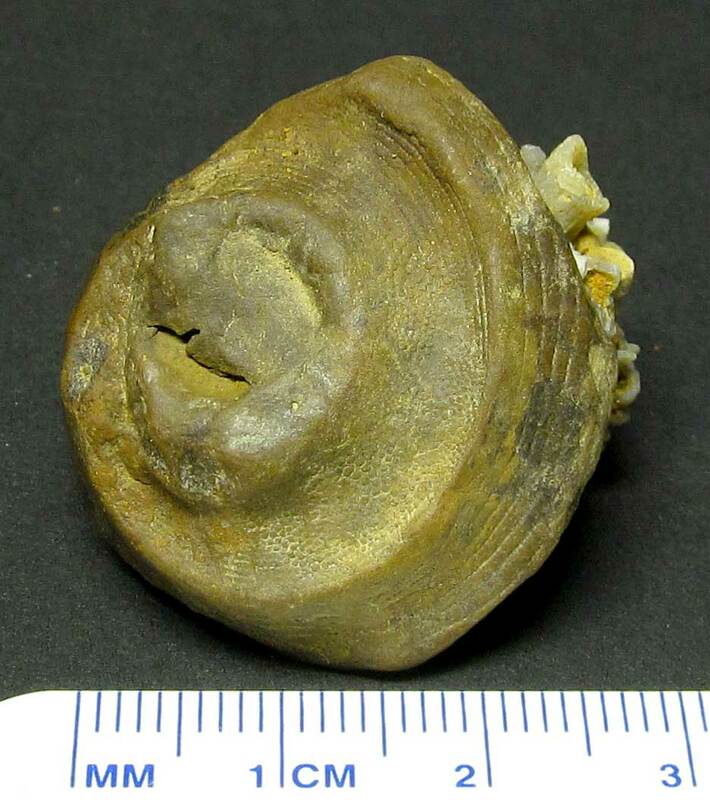 The fossil is probably from Germany. 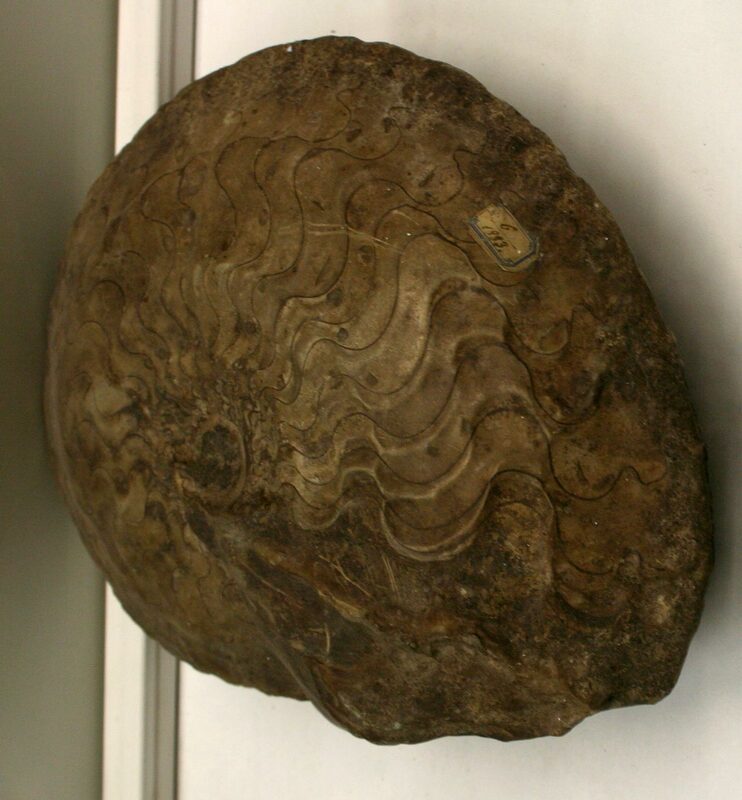 This picture is of an Ceratites nodosus (Brug.) 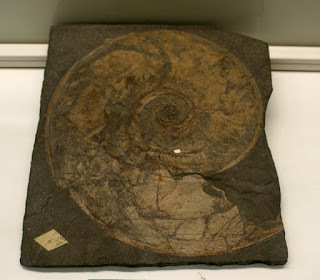 ammonite fossil at the Museo di Paleontologia at Sapienza University of Rome Italy. Creatures like this existed at the time of the Triassic Period. This picture is of a Castanea kubinyi plant fossil at the Museo di Paleontologia at Sapienza University of Rome Italy. 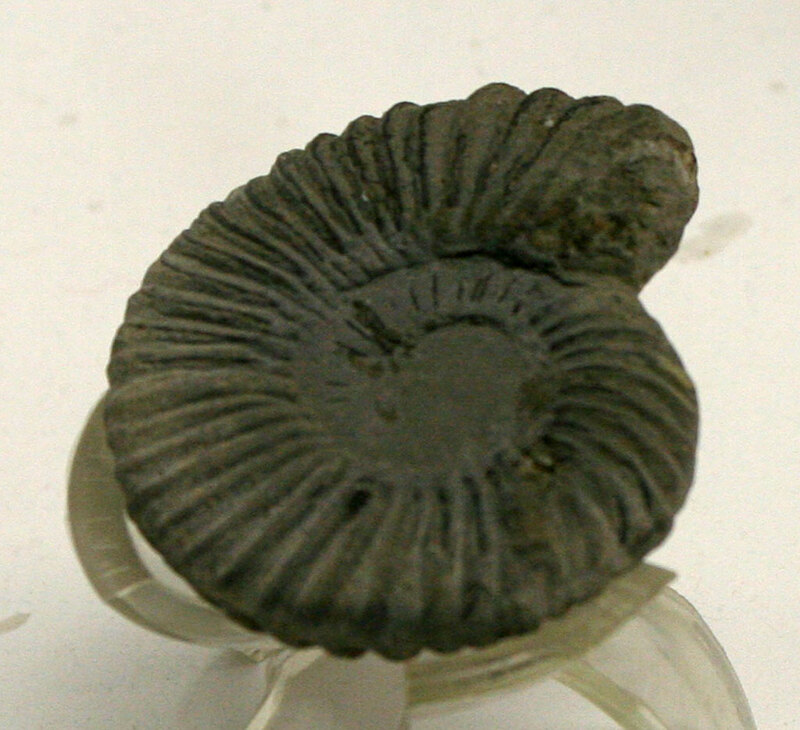 Plants like this existed at the time of the Miocene epoch of the Neogene Period. The fossil was found in S. Angelo Senigallia Marche Italy.